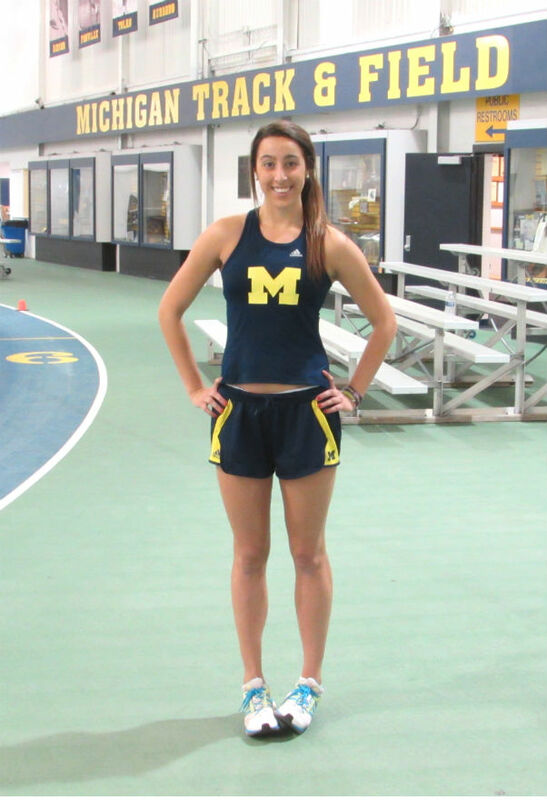 “One of my biggest setbacks in high school would be having a stress fracture from my last season of track. This was going into senior season, big goals ahead. I had already committed to Michigan, but I still had times I wanted to get. … I had a really good indoor season, then two meets into the outdoor season, my shins just completely gave out on me. So I got an MRI, found out I had two stress fractures. So that kinda put a damper on training right away. I got to the Golden Triangle Meet at Saline, kinda like a state meet preview, and I got to run the 8 [800 meters] there—it was the last thing I did before taking a month-and-a-half off. So I spent a month-and-a-half in the pool. I’d get up in the morning and swim with the swim team. Then after school, either elliptical or bike and then get back in the pool. I did that all the way up to the regional meet, so I got to regionals, and I hadn’t been on a track up until like the day before, and that was just a couple of strides. So I got through that, qualified with a time, made it to the state meet. My coach from there had me doing workouts every once in a while. With 200 meters left in the state meet race though, I felt something shift in my shin, and it just gave out on me. So I went from being third with like 250 to go, to dead last. I got a pity clap coming in the homestretch—probably one of the worst moments ever. … So that was my transition into collegiate running.